The Arts by Karena: A French Delight on the 5th Day of Holiday Giveaways and a Winner! A French Delight on the 5th Day of Holiday Giveaways and a Winner! The 5th Holiday Giveaway is from a well known and loved blogger and author, Vicki Archer of French Essence! Vicki has an amazing blog about all things French. Even a daily click of a special image that is meaningful to her and to her faithful readers all over the world!! In 1999, Vicki Archer, with her husband and three children, made a lifelong dream a reality when she bought a seventeenth-century property in Saint-Rémy-de-Provence. She spent three years lovingly restoring the farmhouse, bringing back to life the abandoned apple and pear orchards, and planting an olive grove of more than two thousand trees. In My French Life, Vicki shares an insider’s view of life in France— from its landscapes, delicious food, and scents to its charming people. And she offers an intimate portrait of what it’s like to adopt a new home on the other side of the globe. It’s a personal tale of taking risks, facing challenges, and the joyous experience of falling in love with all things French. With lavish four-color photography that captures the essence of French style, My French Life is a book to cherish. It is the perfect gift for the holidays. 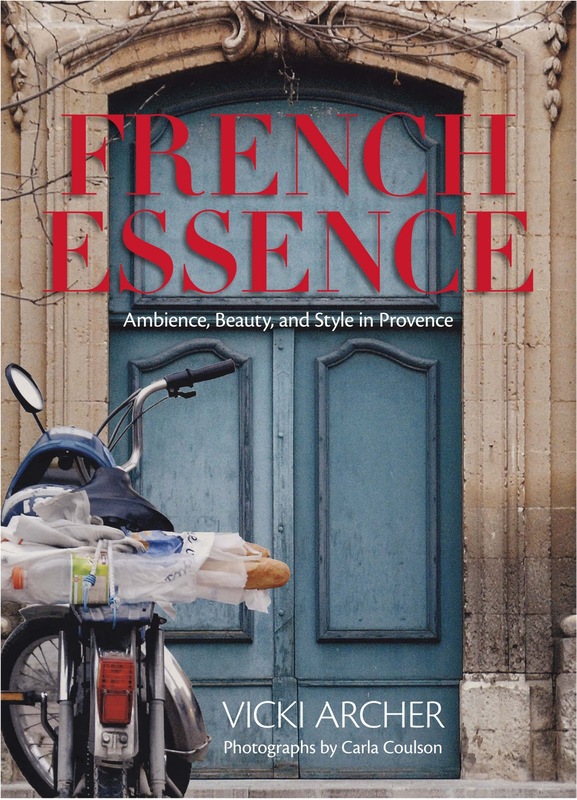 She returns with a breathtaking, full-color tour of the culture and style unique to Provence. Ten years ago, Vicki Archer and her husband began restoring a seventeenth-century olive farm in Saint-Remy-de-Provence, resurrecting the ancient orchards and renovating the farmhouse. The story of Archer's dream come true is an enchanting one, captured on the pages of her debut book, My French Life. Now fully at home in this magnificent corner of the world, she brings us a guide for celebrating and re-creating Provençal ambiance. A lover of architecture, art, furniture, and décor, Archer knows that the best interiors are inspired by the heart as much as the mind. French Essence is designed to spark both, with gorgeous photographs of lush gardens, timeless interiors, hauntingly beautiful village lanes, and inspired aesthetic details. Sumptuous cuisine and charming shops are also essential features of the tour, giging all readers the chance to vicariously savor the sensuous pleasures and effortless chic of this region. Reminiscent of Frances Mayes's lavishly illustrated books, In Tuscany and Bringing Tuscany Home, Archer's captivating words and scenes open the doors of inspiration for all who cherish the French way of life. Thanks to Vicki's generosity, she has given Two sets of Both of her books Valued at $80 a set! A gift to Two,yes, Two fortunate winners of this Holiday Giveaway! The entrants must reside in the United States. then come back and tell us what you love most in her shop. 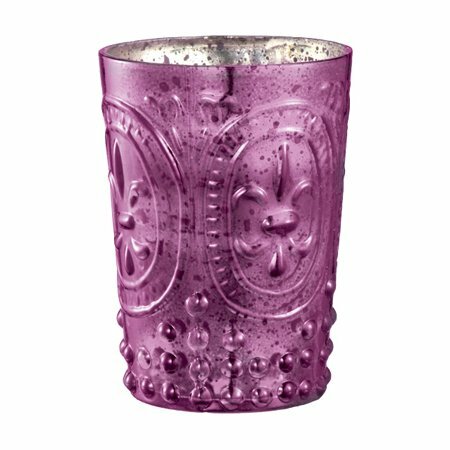 I know I would love several of these mercury Glass Votives!! 2) Unless you want an extra entry for posting on your own site! Thats right spread the love for the holidays!! Now for the winner of the 30 inch Princeton Pine Wreath strung with 100 lights from The Christmas Tree Market ! It is Amy of Maison Decor! Congratulations Amy!! Do visit her wonderful blog! Thank you to all for helping to make this such a fun event! We are highlighting so many wonderful sponsors and bloggers! You still have lots of the giveaways to enter in the right column! So glad you are doing well ~ thanks for stopping by and Happy Holidays! Love the pickle ornaments! We hide one for each of our daughters in our tree each year, when found they get to open their Christmas PJs on Christmas Eve. Vicki is such an inspiration. Her home is amazing and she loves life more than anyone I know. Not only that, she is the kindest person. Her shop is full of beautiful gifts. Her collection of ornaments are so beautiful. I love the Clear Glass Ornaments! So simple and beautiful. Reading the synopsis of her books truly takes my breath away. What an amazing life. She sounds amazing and I would love to read all about her French adventures. Thanks for the giveaway! Oh my gosh!! thanks so much Karena~I know I am going to love my new wreath for years to come!! Since I am feeling really lucky, enter me to win Vicki's book~I am a francophile so I would love to win this book~!! Ok, I went over to Vickis shop and I love the mercury votives too, but I really think the little bird ornaments are the sweetest! I went to the blog and to the shop. I love the Thomas Kincaid house ornaments. I've been a long time reader of Vicki's blog and I would love to win her books! I love her mercury glass inspired tealight holders. Thanks for hosting this giveaway! Count me in too! I think I love her books best, actually! Bought French Essence last year but think I passed it along to L, so I would love to win a set of Vicki's books...funny, the lilac mercury glass votives were my pick from her store last week as I finalize my New Year's decor around that color! Haha! My new favourite thing... salted butter caramels in a gorgeous tin! How wonderful. I love the perfume section of her shop and I would love to smell Chanel #19 again its not always easy to find. So glad that these are being given away as a set because, after reading the description of both, I was afraid I'd have to choose! Well, I love the Root candles and The Way We Live Book, too. I have been wanting that book "The Satoriolist". I love art because of my trip to France. I've been wanting to read and 'oogle' Vicki's books for so long...this is a fantastic giveaway!! Love her shop, and I loved the little mercury glass scalloped tealight holder...anything with a scallop sends me over the moon! Vicky is a class act and obviously one very talented lady!! I would LOVE to win this giveaway!! So happy to hear you are on the mend Karena thanks to you both for this wonderful opportunity!! Mrs. Archer has EXCELLENT taste in literature. As an author is is superb and her book pics~ well Coco Chanel and Cecil Beaton are tops on my MUST READ list. Lots of wonderful stuff over there but I think that I would have to go with her favorite choice for a camera as well: the Olympus PEN. Nice camera! I love the Old World Christmas Woody Wagon Glass Ornament #46019. it reminds me of one my family had when I was in high school. I also love the Mercury Glass Votives. I was wondering about the date of the giveaway - Oct. 17th? I love the French ornaments. Both of these books sound so great. Thanks for telling us about them. Wonderful giveaway! I also love the mercury glass votives with the flower motif. I love all the mercury glass tealight holders, but in the silver colour. Thanks for the giveaway, and thanks for stopping by my blog. What a truly lovely give away!!!! There are many, many tempting things in Vicky's French Essence shop, but I think b/c it's been raining here and a bit dreary, the Red Wellington Boots jumped right at me!!! I love the selection of books Vicki offers on her site. They are lovely choices. Thank you for stopping by my blog today! I appreciate the opportunity to participate in this giveaway! I also signed up to follow you. You have a fabulous blog! I love the clear glass Christmas ornaments! And of course, I can never get enough of new design books. I love the glass peacock Christmas ornaments. Love Vicki!! I'm with you Karena - the mercury votives in a mix of colors would be gorgeous! Hi Karena!!! I love the multicolor glass reflector ornaments. They remind me of the ones my mom had in her Xmas tree when I was a little girl. Oh, so many good, sweet memories. Fun giveaway!! Hi Karena, what a lovely give-away. 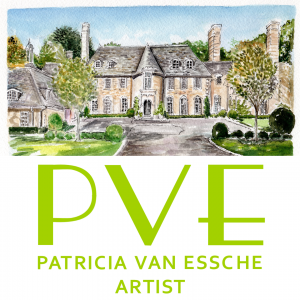 I adore Vicki, her home and blog are just exquisite. I love the classic books she's selling and would love to start collecting these for myself. 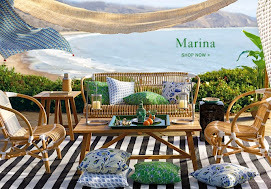 I have seen her book here in Anthropologie and would love the chance to win a set! Hi Karena...I have French Essence and love it it. Well written and it offers up some beautiful eye candy! Oh the clear glass ornaments are so pretty! What a fun giveaway!! Vicky is just an awesome talented woman. She travels is a shop owner and has written a book. Plus is answers comments and is a beautiful, kind person. Thanks for giving me a chance to say that..
Beautiful books! Would love to win! Just looking through her shoppe fills me with longing - the Goutal perfumes, and also the Noel pour candle, and those gorgeous cashmere lounge pants have me pining away! And the Chanel lipstick...okay I want everything! :-) thanks for the entry and Merry Christmas! You are so blessed to be a blessing and I'm very happy to know you are doing well this season. Wonderful giveaway I'd love to win the books by Vicki. In visiting Vicki's store I liked the Reed & Barton Three French Hens Blown Glass, Christmas Ornaments. What a wonderful giveaway. I love France and a I love books! I'm crazy for the Eiffel Tower ornament; I think I need to add it to my collection!! Great giveaway! 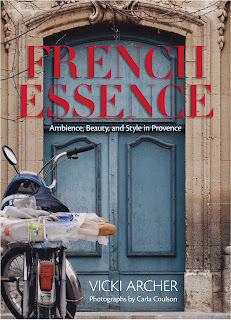 French Essence made my best book list last year. First, I want the purple votives as well, but so you know I really peaked around, I would take the asian figure Christmas ornaments. I had to smile when I saw the lobster ornament - my kids would love that! Love Vicki's blog, it's always a treat. Hi Karena! What wonderful giveaways you have going here, you are so sweet. I love any of the old world beachy ornaments that she has, they are so beautiful! Thank you again and enjoy the season! I really like the mercury glass candle holders, too. The 3-French hen ornament is darling. Oooh, I love the woody wagon ornament! Karena, What a great giveaway. I have to pick the camera Olympus Pen. I've spent so much time exploring Vicki's incredible and divine temptations in her shop. After careful deliberation, I would have to say that any one of the beautiful baskets would have to be my favorite. The baskets transport me to a perfect picnic day in sunny Provence! Thank you for the opportunity to win and Merry Christmas to all! I really want to win a book of Vickie's that would be so grand..wishing and wishing and wishing,,Hello--- hello????? Hi, I love the selection of books she has under Paris and Provence and also the bird ornaments for the tree as I have started my own collection. Thank you. So many choices but the glass Eiffel Tower brings a sparkle to my Christmas tree and transports me even momentarily to Paris. I lived 2 blocks away. Wonderful memories. What generous gifts! The pink paisel ornament would be my choice for my niece as she loved pink! For myself it would be the Eiffel Tower ornament as I love Paris (and France)! I'd have to say the Coco Chanel book. I've been following Vicki's blog for years and would love to have her books. What do I love most in Vicki's shop? Umm... I think I love most that it is there! Is that a silly thing to say? I love seeing what she has chosen -- the variety, the style, the charm. There's so much to enjoy! What a fabulous giveaway!! She has some gorgeous ornaments and mercury glass items in her shop. Thanks to one of Vicki's recent posts about French style, I purchased a chic black puffer coat for a recent trip. Love her style, her blog and would love to get my hands on one of her books. I love all the votives in so many lovely colors! Most of all I love that Vicki shares her life with such grace and style!!! Really do love the mercury glass votives-anything mercury glass! I've been following French Essence for about a year now and find it absolutely enchanting, and I love both the gold and silver mercury glass tea light holders. Thanks for the chance to win those beautiful books! My, what a nice giveaway! I loved the pack of 6 fusion glass Geisha ornaments! Thank you for hosting, Karena! What fabulous clip on bird ornaments - but instead of using all of them for the tree, why not use one to clip a festive scarf around your neck? Or, clip one on the hat band of a simple hat. Love, love everything in the shop! Wow! What a wonderful giveaway series...! I love the French Essence items, esp. the Christmas ornaments (bon voyage!) and the selection of Anick Goutal perfumes. I will definitely post about this on my blog, Bird/Like! Mercury glass for me! Love it. And I love to check in every day and get my bit of France from French Essence! Love the mirrored Glass ornaments!!! Thanks for the opportunity to enter this lovely giveaway!!! What a wonderful giveaway! 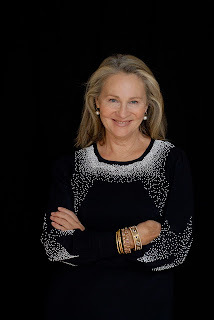 Just adore Vicki and her blog - she has great style a gift for the written word. I love just about everything but was particularly enchanted by the Parisian Pagoda Parasol!! What a great giveaway! I love the peacock Christmas tree ornaments! I love the Victorian Inspirations Red Quilted Glass Ball Christmas Ornaments. So classy! The Humminbird ornament would look nice on my tree this year. What a wonderful and generous giveaway, so many beautiful gifts. spoke to me loud and clear, so I might have to say that one. Love the little egg ornaments - thanks! Anything mercury glass, including the onraments! Love them all !! Any of her books I'd love to have and read. Hope I win! Everything is gorgeous. I really like the silver mercury glass votive candle holder. Such a generous giveaway. The Silver Mercury Glass Tealight Holders would look beautiful with my Finnish Iittala glassware, adding a shimmery glow to my table settings. How wonderful her books are, too! Love the glass red clip on birds.